But everything changed for me on August 6th, 1999. It was the day The Iron Giant was released into theaters. I was 17 years old at the time. There was some pretty bland advertising surrounding the film. As most of us know, the film bombed at the Box Office in part because of Warner’s failure to properly market the film. But I didn’t have doubts going in, because I had heard Brad Bird was directing it, and from what I knew of the past works he had done, there was a chance the movie was going to be good. By the time the end credits rolled, the word “good” for this film was an understatement. Even “great” seemed low on the scale for a film like this. At the time when I saw this movie, it was the single most life changing film I had ever seen. It shattered all my expectations of what I thought an animated film should be. It was a film so beautiful, so powerful in its message, story, and animation, that I never looked at animated films the same way again after this. Before this film, I had been a Disneyite. 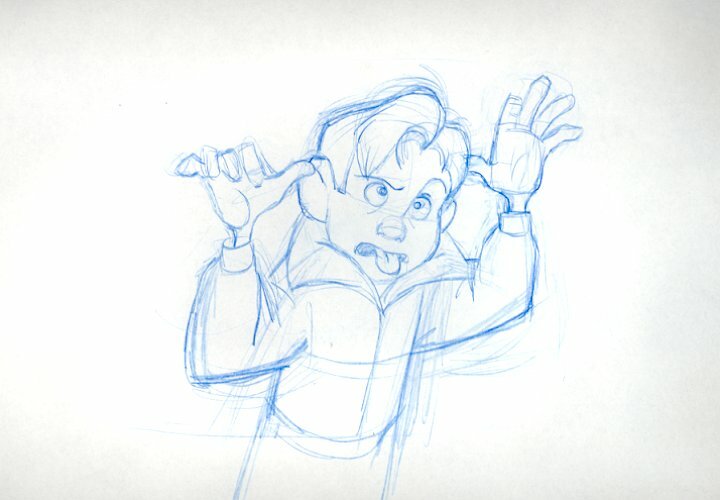 I based much of what I wanted for myself as an animator, like many people, through Disney films. Pixar had not yet established itself, although Toy Story came out before The Iron Giant and I loved that movie. 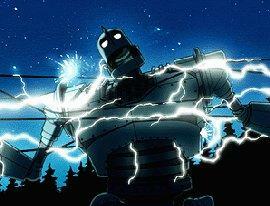 But it was in no way the pinnacle life altering film that The Iron Giant would become for me. Before when I was into Disney movies I had my sights set on becoming an animator and working for Disney as one. After I saw The Iron Giant, I decided I wanted to become a storyteller, a director, and a filmmaker. The thing that attracted me the most to this film were its moments of darkness. The Giants transformation into a killing machine is frightening and real, and it shook me out of my skin when I saw the sequence played out. This was a character that had suddenly lost all hope in himself. This is someone who lost all faith in the world and turned on a murderous spree. True, in the movie, we never see the Giant actually kill anyone because the consequences would be too great and there would be no turning back for him if he actually ended someones life. It’s only Hogarth who manages to stop him and bring him back from the abyss. But what that sequence also showed me was the things you could do in animated films that Disney could not go. There were people who already knew this if you had watched a lot of Japanese Anime, which tackles far more serious adult subjects for animation. But this was the first American animated feature I had seen that was a family film, but took on serious adult themes, with serious consequences attached to the characters actions. The Giant’s nightmarish transformation was unlike anything I had seen in an animated film. It made me want to tackle darker themes in my own work and my own storytelling. My sense of humor has always been on the dark side, as have been the themes I wanted to explore in films. In a way, it always felt edgy and cool to me because American Animation rarely ever tackled these areas, or at least, they used to until after The Little Mermaid came out, and it’s like it all suddenly stopped because everyone had their eye on animation as a moneymaker, and nobody wanted to do anything that would scare children and families away. What’s interesting is the Iron Giant helped me unlock my love for films I saw growing up as a kid that were filled with dark themes, such as Pinocchio, The Adventures of Mark Twain, The Secret of Nimh. Even films like The Brave Little Toaster had plenty of moments with frightening imagery, and it was great because these movies were never afraid to scare kids. The simple truth is, unlike what most adults want to believe, kids love to be scared. It’s not about always protecting our children, because as kids…the thing is…what frightens us also intrigues us at the same time. Scary images are burned into our skull because it forces us to ask ourselves why the images frighten us. What is it about watching an animated character in serious peril, or being attacked by a giant monster that makes us want to know where that monster inside us comes from. It frightens us because we know that monster exists in all of us, and we see it exposed when we watch a film that traumatizes our minds. I was much older when I saw The Iron Giant, but the killing spree frightened me just the same, knowing that myself or anyone that I loved could become a killer, or could be knocked off course from wanting to be the beautiful soul that they are. The soul however is the deeper layer to what The Iron Giant is. I watched a seminar once taught by voice actor, Crispin Freeman, entitled Giant Robots and Superheros, which analyzed the mythological aspects and cultural differences where the Japanese like to write stories about Giant Robots and Americans like stories about Superheroes. The Iron Giant brings the best of both worlds and takes it a step farther. Here is the notion of a giant robot having a soul. A machine having a soul and wanting to be more than it’s limitations. It’s interesting because at the same time this film came out, there was another film that examined this aspect, called The Matrix. That was another film combining machines and spirituality, where in that case the machines became self aware and wanted to turn against humanity, and the human, Neo discovers in his avatar form that he can bend the Matrix to his will, and eventually merging with it. The Iron Giant is more family fare than the darker Matrix films, but at the same time the human element finds its way into The Giant. Through his own spiritual journey he finds not only mentorship through a 9 year old boy, he also discovers Superman, and discovers in himself that is what he wants to be, an empowered being who uses his abilities for goodness in a harsh world. The giant instantly relates to Superman because he is also misunderstood by those around him who fear him as a threat. He is conflicted by his machine body, his ego telling him what he really is, which is an engine for destruction. But he finds he doesn’t want to be that at all. He wants to grow beyond everything he was designed for. There was a story where during the finale of the film when the Giant sacrifices himself to save the town, somebody in a story meeting for the film asked why didn’t the Giant just take one of his rockets and destroy the missle from a safe distance. Brad’s point was that the Giant wouldn’t do that because it would mean turning himself into a gun, which is not what he wants to be. The message, “You Are Who You Choose To Be”, becomes the center of the Giants whole purpose of being. When I heard those words for myself as a teenager, it became the center of my own being as well. They were powerful words I wanted to live by. It led me down a hard road later in college, because I found myself drifting from the Disney animation status that I thought I wanted from the beginning. I discovered that I came into conflict with my own desires as an artist when animation was suddenly not as important to me. I have always had to struggle with my drawing, I couldn’t keep up with my peers at the time, and overall it made it a struggle for me when I felt I wanted a job vs. what I wanted for myself. 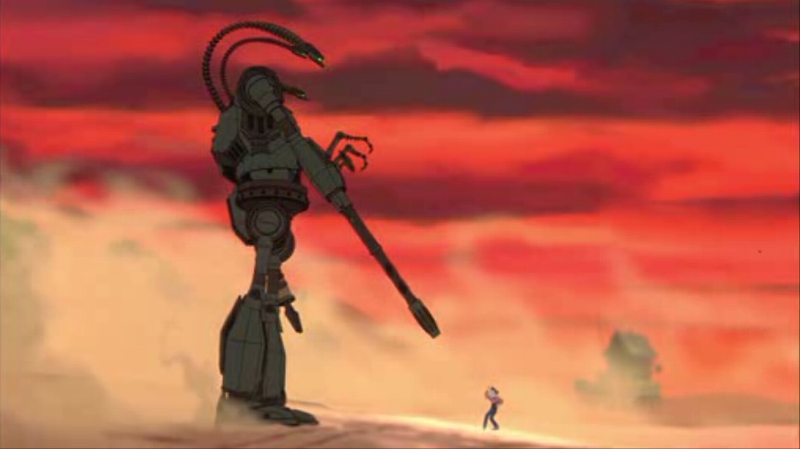 In a funny way, I could take The Iron Giant as an example of someone going through the same thing, as he was a being that was in conflict with what he was built for vs. the being he wanted to become, in a decision made on his own. He fights and struggles because his body that he was built to be wants to keep him down and conformed, but his “soul”…and his awakening into his own being is the thing that transforms him and makes him the defining hero he always wanted to be. What I have learned from this film, and what it has taught me has always been about following your guiding light…your intuition and your spirit to become the person you’ve always wanted to be. This includes deciding how you want to approach your career, what you want to contribute to humanity, deciding the people you want to fall in love with, deciding what you want to take a stand for and what is most important to you. It’s never about following a particular crowd or a religion because many times a religion forces you to fall back on your own body. On the one end, its meant to keep you safe and keep you grounded. But it can also keep you afraid an in the dark from the person you always want to become. It can also tell you there is no other way except what is meant to keep you in line and in fear of following your path. They are the voices in your head telling you not to go off into the woods because they are dangerous, they are full of turmoil, and you can damage yourself far greater when you let go of a chosen belief. The conflict comes when you do go out into the woods, and the voices in your head are constantly telling you to come back, that you are putting yourself in danger and that you cannot survive on your own. 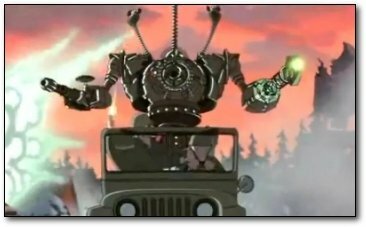 It’s why in The Iron Giant, when the Giant thinks Hogarth is dead and all is lost that he falls back on his “machine” life and turns into a weapon of destruction. He doesn’t know yet that the choice is always within him, but because he lost Hogarth, there was no one left to make the choices for him accept himself. And that can be a frightening thing. When we hear the words, “You Are Who You Choose To Be”, it is exactly that. There is no fear in deciding on the person you want to become. We can get angry and conflicted when we suddenly find so many voices making the choices for us that we don’t want there anymore, which is what can lead to anger and a need to strike back. After I saw The Iron Giant, I wrote Brad two letters. The first one I wrote to him because I was about to become an Eagle Scout. I asked him in a letter to send me a congratulatory card with my Eagle Scout packet. When you reach that level as a boy scout, you can ask for congratulatory letters from The President, Senators, or people you admire. Brad’s card was the most important one in there, because for me having accomplished becoming an Eagle Scout, his card defined the person I wanted to become. Brad has always been that symbol in my mind and my hero for all time and I have continued to aspire to be the image of what Brad is to me and the person I want to be. He’s my “Superman” so to speak. Later on I wrote Brad a second letter just asking him about being a director and how to become one, and he returned with a 2 page letter reply talking about schools, and what it’s like to be a filmmaker. He even ended the letter with the simple words, that no matter where you go or where you end up, never forget the sage advice of young Hogarth Hughes, “You Are Who You Choose To Be”. What is the film that most defines you as a person or as a filmmaker? I think we all have it in us. The Iron Giant was that film for me. It made me want to be more than the sum of what people in everyday life expected from me. I had to have faith in myself first to find that place for me and decide this is what I want. The search continues throughout our lives as we go from one thing to another, working to follow our path until we find the direction that most defines the person we want to be. It’s what we spend our whole lives searching for, choosing to be who we want to be no matter where the world drops us. It’s up to you to decide what is most important for you and whether your own path is guiding you there. If it isn’t, it could be time for a self examination to get yourself on track. If you can do that, however, that you will discover that the universe is putting you in alignment, and the life you always wanted for yourself will have been laid out for you all along. Today, February 7th marks the 73rd Anniversary of Walt Disney’s second animated feature film, “Pinocchio“. Pinocchio may be the most important Disney film of my childhood. It’s the first animated film I remember seeing with any clarity on how I really felt about it. It’s not only a terrific movie, but like most of us who remember watching it, it’s frightening as all hell! It wasn’t the kind of fear that drove me away from watching it though, but the kind that led me to obsess and watch the movie over and over again. There’s the obvious reasons I liked it of course a kid, because it is about a little boy. But I think I really wanted to understand why the movie fascinated me so much. The funny thing is, I feel that when all of us we’re kids and we watched a movie over and over again, the benifit of having that child perspective is that we always watch the film again as if we’re seeing it for the first time. We look at it as if something is going to change or we’re going to see something different, even though we kinda know the movie always goes to the same place. Every time I’d watch Pinocchio again, I’d always think…well maybe he’ll make the right choice this time! Maybe he’ll know to stay away from the Fox, or Stromboli, or the Coachman. But then of course the movie would play out as it is, and I would wind up getting scared all over again! As a film with scary imagery in it though, I always felt like it was a good kind of scary. Thinking of films like this reminded me of a time when filmmakers we’re not afraid to frighten children in movies. I always thought it was important to show this stuff in movies for kids because its a safe way for kids to see something bad happen to a character (like a little boy or a girl) and remind you to watch out, and be careful, because there’s always going to be someone out there trying to trick you, or possibly harm you for their own personal gain. With a movie like Pinocchio, you get to watch somebody else suffering the consequences of their actions without you yourself getting into the same trouble, which is an important teaching tool in storytelling. It’s interesting watching this film now 25 years later from an adult perspective, and one of the things I always thought was amusing was that the villains that frightened me so much in the movie we’re actually very funny. The main one I speak of is Stromboli, which may hold the place for me as my favorite Disney villain. I say favorite, because as a kid he was the one character that frightened me the most and gave me nightmares. But in seeing the character again as an adult, I came to discover he’s not only very funny, he’s also beautifully animated, and the animation comes from a place of raw, pure emotion. 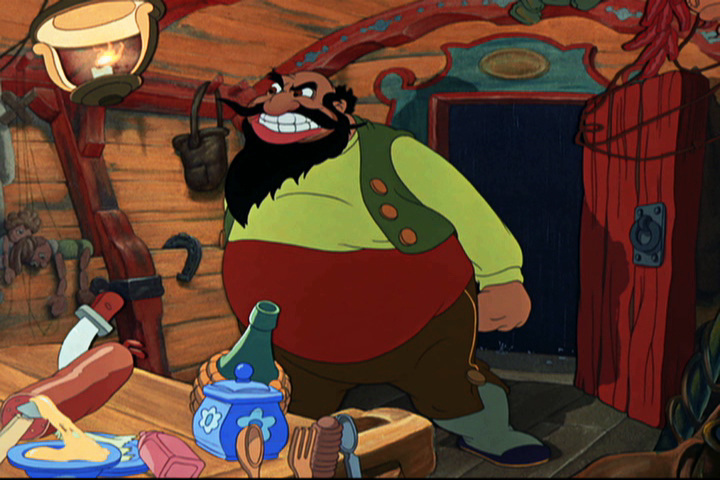 Stromboli was also animated by my favorite Disney Animator, the great Bill Tytla. Tytla was among the first batch of supervising animators before The Nine Old Men came along, with him, Freddy Moore, Norm Ferguson, and Hamilton Luske. These animators fell by the wayside when they couldn’t keep up with the increasing demands of Walt when he wanted to expand and evolve the actual drawing of animation and take it to new places. But Disney Animation would not be what it is today, and there would be no Nine Old Men without these four supervising animators, who broke ground and were the foundation of everything Disney was to become. Disney’s first5 feature films were made under these me, which are probably still their best, Snow White, Pinocchio, Fantasia, Dumbo, and Bambi. By the time Disney returned to features in the 50’s after the war years with Cinderella, you can see they began settling down with a kind of house style. That’s not to say those later films don’t have their own particular artistic achievements. But those first 5 films in my opinion are the most powerful, and the most emotional which set up everything to make Disney the studio it would become. As far as Bill Tytla goes, his animation was the most powerful and emotional of all of them. Not surprising when I looked up his birthday, he’s a Scorpio like me! Scorpios are natrually inclined to striking to the heart of something, and holding up the mirror of truth to others. Tytla as an animator is a prime example of this. He was considered a very quiet soft spoken man in real life, but when it came to putting pencil to paper, everything he animated was channeled through emotional intuition. If anything, he‘s the one animator I aspire to be like, because in my own work while I know the mechanics of how animation works, what matters the most to me is finding the flow and letting the performance of the character guide me as I’m doing it. I have to investigate further as to how much of Tytla’s animation was planned (doing thumbnail drawings, acting poses, etc) and how much of it was improvised straight ahead. In animation there’s three methods of animating. The first is pose to pose, where you plan out all the character‘s acting poses and fill in the inbetween parts. The second is straight ahead, in which you just start from drawing one and improvise the performance. Then the third is a combination of straight ahead and pose to pose, where you animate the performance straight through in a first rough pass, find the key poses/ drawings you want, which become like guide posts. In this intuitive fashion, it’s more like letting the character tell me you what it wants to do, and finding ways to hit certain beats in the performance that accomodate the acting. For an animator like Tytla, I think was important for him to operate in this fashion, because while it’s true that the character is always coming from the artist, the most important aspect to animating is treating the character as if they’re their own person, telling you what it wants. I like to practice more doing straight ahead animation like Tytla, because there’s just an incredible energy you can’t match when doing everything pose to pose. It also takes a certain fearlessness to go there as well, when you are ready to trust your gut with how the performance is going to turn out. Tytla was the master of straight ahead animation. There is a sequence in particular in Snow White that he did which is considered a groundbreaking performance. It’s the scene where Snow White kisses Grumpy on the forehead. He resists at first and storms a way, but then his angry emotions suddenly melt into a soft, momentary feeling of happiness when he realizes he likes the kiss. It’s one of the few moments Grumpy drops his guard. It was groundbreaking for its time because nobody had attempted that kind of sophistication in an animation performance before. Tytla was not only a master of emotion, but also of weight and timing. 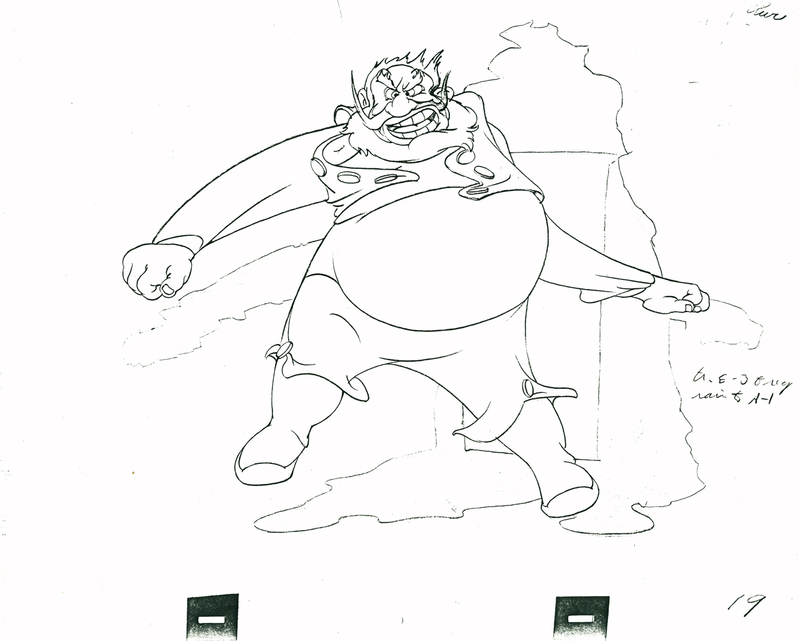 In the Mickey Mouse short, “The Brave Little Tailor”, he animated the giant. He was also responsible for the powerful performances of Chernabog (The Devil on Bald Mountain), Stromboli, Monstro the Whale, and was also supervising animator for non other than…..Dumbo. Yes, the guy who animated Satan also animated Dumbo. There are two sequences in particular that are pure wonderful Tytla moments…the scene where Dumbo is being bathed by his mother, and the other is the “Baby Mine” song sequence, the moment where Dumbo’s mother cradles him with her trunk while being trapped in her cage. It’s really Tytla’s performace with Stromboli that is my favorite, and what I consider his most engaging and emotional. It’s because Stromboli’s emotions are like a time bomb, jumping from humor to instant rage in a split second. That and having no qualms about chopping little wooden boys into kindling! 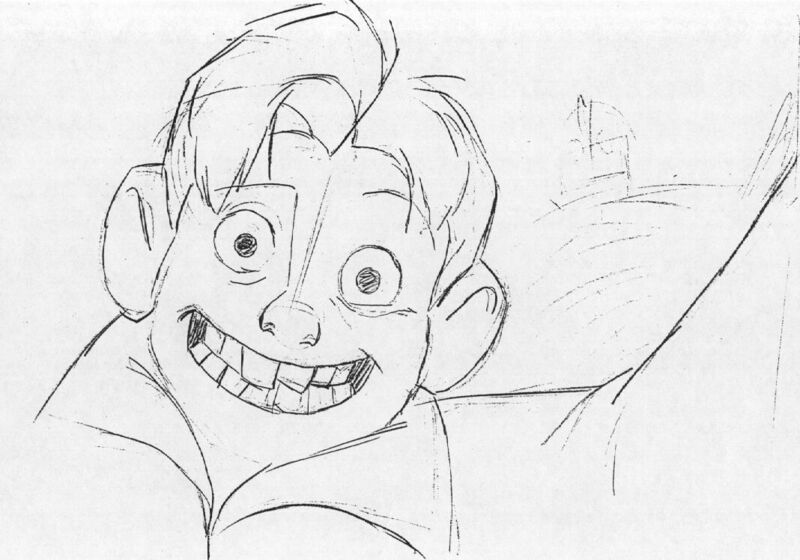 Keep in mind this animation was done before the much more stringent draftsmanship skill was attached to Disney characters. That’s not to say at all that the character of Stromboli doesn’t have a tremendous draftsmanship skill attached to it. But look at how exaggerated the limbs are, how loose and giggly his belly is. Putting too much in the way of anatomy and accurate drawing skill would restrain a character like this too much. He has to be much more bombastic and wild. The accuracy of the drawing skill is nowhere near as important as communicating the manic side and unpredictable, crazy energy of this character. This is the kind of animation I prefer so much more! It’s so amazing to watch. As much as I like the later Disney films, it’s really this youthful energy that just became absent after awhile. This is just a prime example of all the great things animation could be if we allowed it to go there again. It doesn’t always have to be about polished drawing skill. Bill Tytla was one of those animators who was capable of getting inside and making something out of raw emotion. He was said to be very intense when he worked, but the results are there when you look at his incredible animation. I will be writing more posts later on about Tytla, as well as the other great supervising animators, Fergy, Freddy, and Hammy (okay Ham, he probably didn’t like being called Hammy).